Home » Cynthia couldn’t get pregnant. One procedure changed everything. Share the post "Cynthia couldn’t get pregnant. One procedure changed everything." Cynthia couldn’t get pregnant. One procedure changed everything. Cynthia’s doctor said the only way to stop her bleeding and dizzy spells was a hysterectomy. One consultation with the Fibroid Treatment Collective convinced her to try embolization instead. Fourteen months after her procedure, Cynthia was not only free of fibroids…she was pregnant. "I went into a depression. I cried everyday. 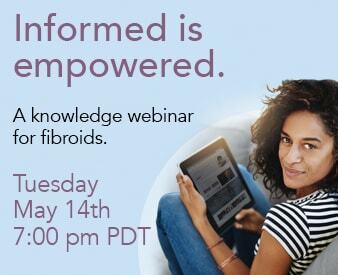 Cried to work, cried at work, cried on my way home...until "
What Are Uterine Fibroids and Should You Be Worried?